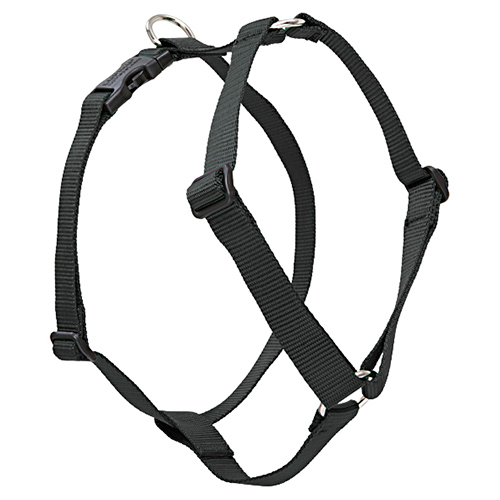 This traditional medium dog harness is designed to eliminate pressure on the delicate throat area. Adjustable shoulder straps help to reduce strain on the neck and back. 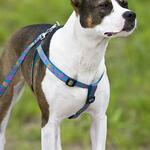 All Lupine dog harnesses come with the unique Lupine 'Even-If-Chewed’ Guarantee® and are machine washable. 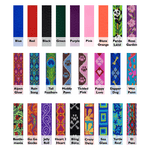 You can order a pet ID tag to perfectly match any pattern offered for this unique dog harness product. 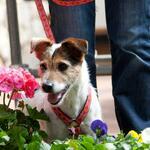 Just check out our Lupine Pattern category to find a matching tag. 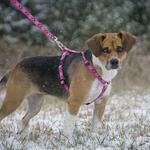 Solid colored harnesses start at $15.99. 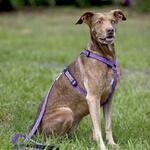 Adjustable harnesses are also available for large dogs. 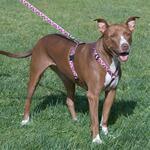 Patterened Roman harnesses start at $19.99​. Price varies by size.